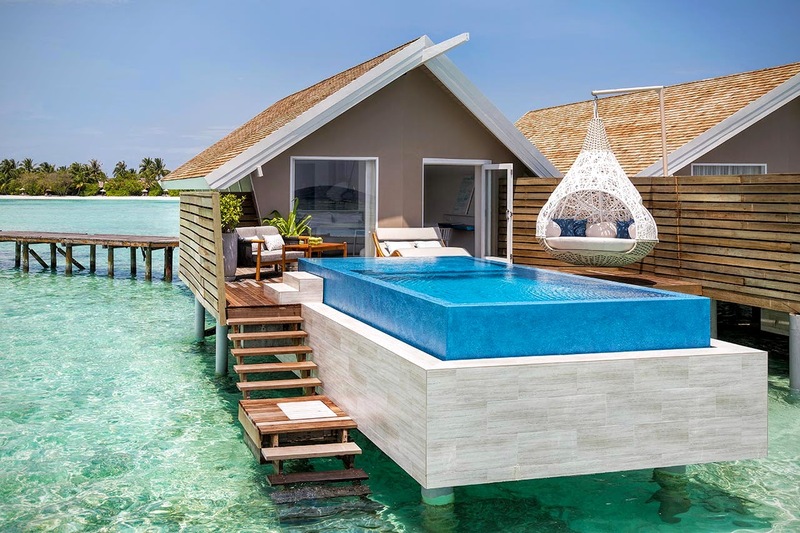 World-renowned luxury resort and hotel operator LUX* Resorts & Hotels is known for a different style of holidaying – a lighter, brighter way of celebrating life – and its newest resort LUX* South Ari Atoll opened last week in the Maldives. 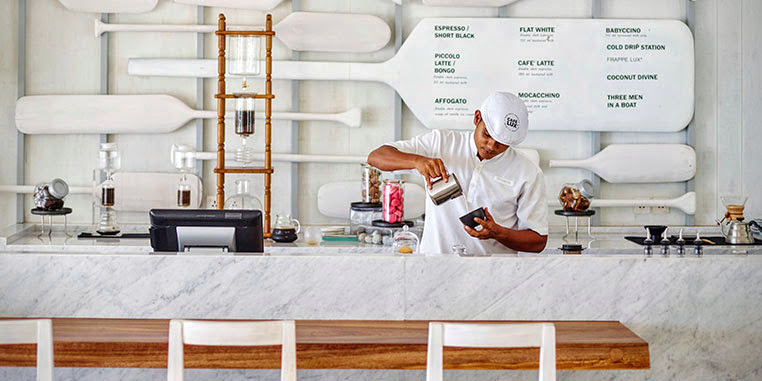 The brand’s latest five-star resort has been entirely reimagined, with a chic beach-house style. Innovative and trendsetting, it features a contemporary atmosphere while protecting the cocooned tropical island atmosphere. LUX* South Ari Atoll is not just about luxury and aesthetics: it’s a resort with a soul. Playful, fun, modern this is paradise ­­­for travellers looking for a distinctive experience in the Maldives. Dotted at the water’s edge along two miles of pure white sand beach and perched on stilts above a crystal-clear lagoon, are 193 super-spacious pavilions and villas designed by P49 Deesign. The seductive flood-lit over-water villas promise freedom, privacy and intimacy. 46 Romantic Pool Villas each have private 7m suspended infinity pools, and three Temptation Pool Water Villas boast a 14m pool and this forms the resort’s adults-only sanctuary. These villas enjoy twin showers, private terraces incorporating a unique couples’ love nest, and a deck with steps down into the sea, perfect for enjoying the turquoise blue waters of the Indian Ocean. 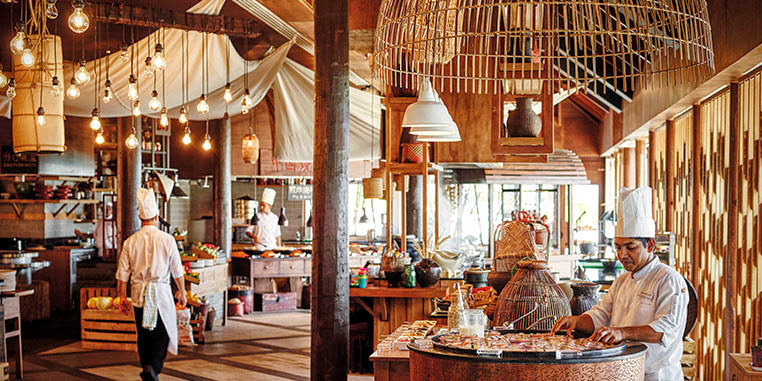 The spectacular range of eight restaurants and five bars includes a sophisticated take on a bustling night market; guests can head to East Market where they can enjoy flavours from Vietnam, Thailand and Sichuan among others. 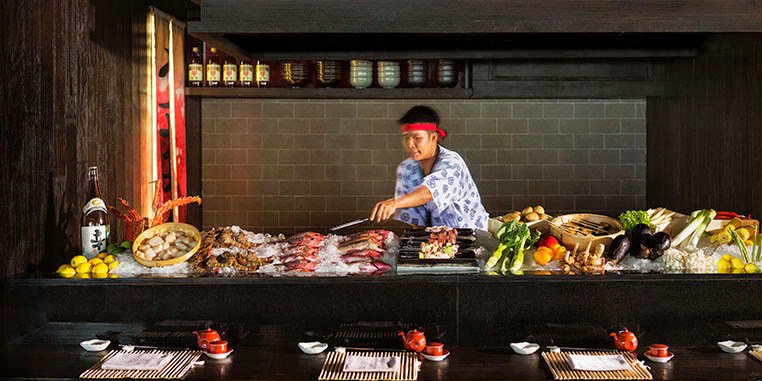 Umami promises fine dining from the open sushi kitchen, teppanyaki and robata counters as well as the Maldives’ largest selection of sakés and Japanese whiskies. 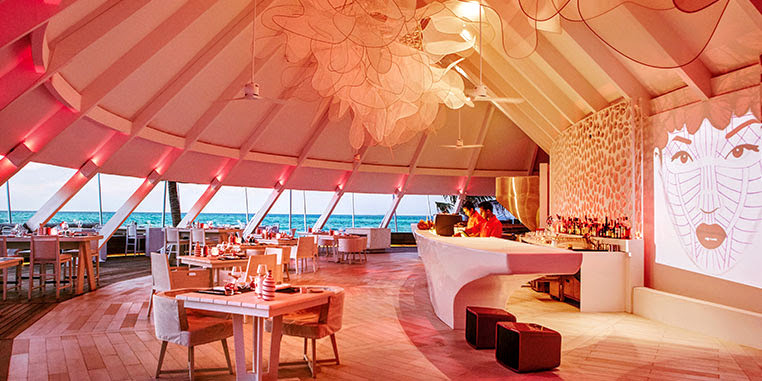 Allegria, Senses and MIXE satisfy international palates with Mediterranean to Maldivian specialities and the new Beach Rouge introduces fresh beach club dining experience to the island. Visit www.luxresorts.com/en/hotel-maldives/luxsouthariatoll for more information. The LUX* Me spa and its overwater treatment villas set the tone for a Zen-inspired reboot of its own. The facility incorporates a traditional Chinese teahouse, a dedicated zone for brand new skin and body care experiences and an extended lagoon-view relaxation area. For those in search of the ultimate personalised spa experience, try the once-in-a-lifetime 10 hands massage. A Zen wellness pavilion accommodates a wide range of alternative wellbeing activities including yoga, meditation, pilates, tai chi and qigong, all of which are overseen by an expert wellness concierge. LUX* Me is all about a tailored approach to your wellbeing, whether it be spa, fitness, yoga, meditation, nutrition or a unique combination tailored especially to your needs. Graced by one of Maldives’ most spectacular lagoon of crystal-clear waters, LUX* South Ari Atoll offers the finest choice of water sports of any Maldives’ five-star resort. LUX* was the first to offer flyboarding and hoverboarding and once again introduced the Maldives’ first: jet-surfboarding. No wonder the resort is referenced as #ThePlacetoBeMaldives. LUX* South Ari Atoll promises a lighter, brighter, more enlightening holiday experience. Stay tuned for events worth travelling around the world for as Beach Rouge, the East Market, and even a sandbank hosting music and culinary celebrations. Where else can guests dance to a DJ with their toes dipped in the warm ocean or taste the best of South-East Asia in a suspended over-the-water night market? LUX* South Ari Atoll will of course include all of LUX*’s popular features and Reasons To Go LUX* including a LUX* Me Spa, a dive centre with a property marine biologist, a Café LUX*, ICI ice-creams, a gym, a kids’ club, organic gardens, a Tree of Wishes and an outdoor Cinema Paradiso to name a few. On top of that, the opening of this new resort was the perfect opportunity for the brand to present a series of more Reasons To Go LUX*. Stay at a conventional resort, and before long you know where everything is. That doesn’t happen at LUX*. Spontaneity and surprises are in our DNA with the new Reasons To Go LUX* making a debut at LUX* South Ari Atoll this month. LUX* Photo Fanatics — LUX* means light, and so it is also in spirit, so it should come as little surprise that LUX* is a brand that loves the art of photography. Introducing Photo Fanatics, a unique image-capturing experience that will help guests seeking to create and capture the moments that matter, using a smartphone or a traditional camera or SLR. Junkart Studio & Gallery — Many regret the lack of time during their everyday lives to learn a new skill or revive a forgotten hobby. LUX* believes that a vacation can be the perfect time to explore something new or revisit old skills and passions. Guests at LUX* are invited to have fun making one-off artworks and sustainable souvenirs from upcycled materials. Wanderlust Library — Make up for that last-minute pre-holiday book buy at the airport or magazine selection limited by how much your hand luggage can take. LUX* understands the desire to try new things, especially on holiday. To encourage this LUX* has curated the ultimate collection of books and magazines, to be enjoyed in a cocooned air-conditioned place which will stimulate your travel senses and expand your horizons. Masterchef — The joy of cooking and the fun of the whole family getting involved is unrivalled. Cook with a professional chef and take home some new tricks. 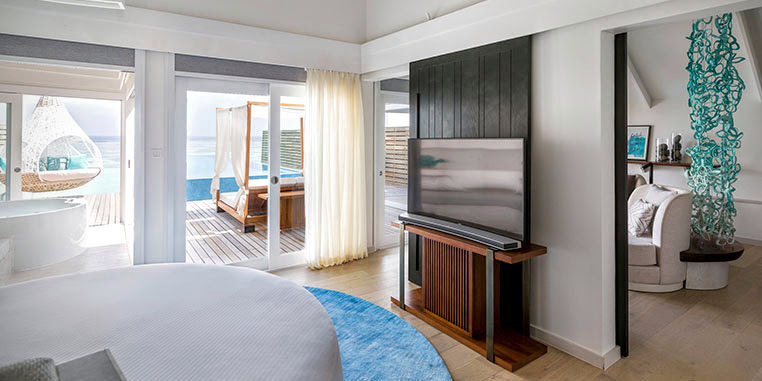 The remodelling of LUX* South Ari Atoll doesn’t just mean a contemporary, characterful new look; guests can also expect a remarkable and insightful cultural calendar. Entirely new for the Maldives, LUX* South Ari Atoll hosts short expert-led workshops throughout the year, with leading practitioners from diverse, creative and inspiring walks of life. It’s always a privilege to spend time with inspiring individuals who are happy to share their unique wisdom and skills. The brand vision is to offer our guests different luxury hospitality experience; helping people celebrate life, by making each moment matter. In this context, guests will have the opportunity to enjoy themselves with a series of workshops which could reveal innate talents, hidden talents. What makes LUX* South Ari Atoll so special is its spirit, team members, and entirely different approach to helping you have the best-ever holiday. LUX* promises a journey for the senses, where – in true LUX* style – you can expect the unexpected.